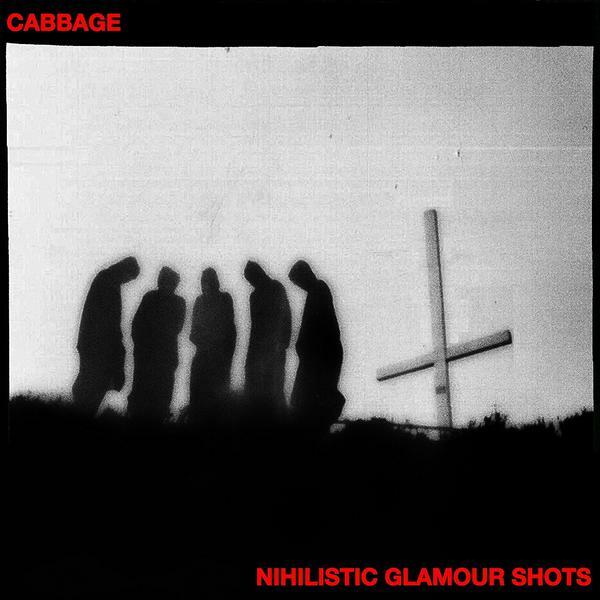 Cabbage, or Cabij as they sometimes refer to themselves, are a 5-piece post-punk outfit from Manchester who are notorious for their energetic and sweaty live shows. I've been following them since late 2016 - not long after the birth of the band - and have seen them grow and grow and grow. With polarising lead singers Lee and Joe, they captivate a level of authenticity unbeknown to 80% of post punk that will usually heavily rely on the fact that they are rebels and borrow their sound from the likes of The Ramones and The Clash to certify themselves as punk. The album opens with "Preach To The Converted", the irony of this being the opener is that if you share beliefs with Cabbage then they already are preaching to the converted as it were as they blast through politically infused raucous fun. I'm a big fan of this song, and I love hearing it live as well - it's one of them that gets the whole place going. "Arms of Pleonexia" is still the heavyweight champion that Cabbage were intending for it to be as the lead single for the album. It's just so catchy and yet if you listen to it's so enlightening and deep. And the album only becomes deeper and deeper as you begin to believe there's no light left. As the cover suggests, there's very little light on this album - it's not an easy listen by any stretch and certainly is not as accessible as their compilation 'Young, Dumb & Full of...' so if you're aiming to get into the bands music then I'd definitely recommend that as a starting place before you venture into this. It's also not as playful as songs like "Dinner Lady" either and I tell you what, I'm glad for it. It's exciting and enticing to see a band push themselves and to excel at it, it's something special when you've been following them for a while as well. There's a few "oldies" on here as well which lie deeper on the album and come in the form of "Celebration of A Disease" and "Gibraltar Ape". The former of which was on their 2017 EP 'The Extended Play of Cruelty' which received a grandiose 10 from KMMR - although I never actually reviewed it - but it was fantastic nonetheless. The latter of which is a song that I've never gotten along with, despite wanting to like it for so long. And I think there was some tweaking to the song before it was slotted into this album because it sounds alot more polished and it grates me a whole lot less than it did before.